TGIF! It feels like I've been constantly sick this winter or dealing with sickness somehow, so you can bet that I am doubly happy that it's Friday and that I am on the mend from the flu that I got earlier this week. Yes, I somehow caught the flu that's been plaguing the country this winter even after all of my attempts at antibacterializing everything in sight. Thankfully, Steve has been amazing and has kept me resting in bed while he tends to Cora and the rest of the house so that I can make a full recovery as quickly as possible. So far so good! I feel like a completely different person than how I felt on Monday night and it's all thanks to him and Tamiflu. That stuff really works! 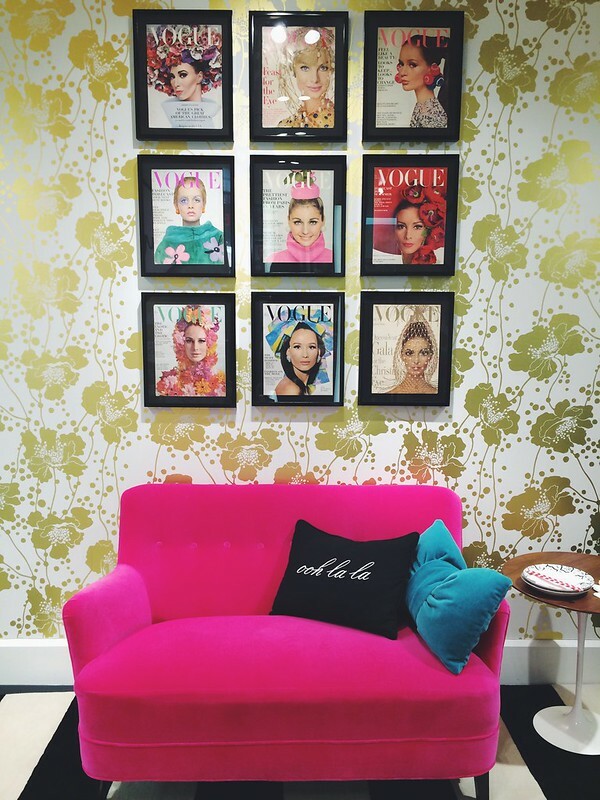 I've been contagion-free (or is it contagious-free?) since 10pm last night and it feels so good to be able to give my little Cora hugs and kisses. I was pretty much quarantined from her and Steve so that neither of them get sick. Goodness knows how awful it is to see your child sick with a cold, but I can't even imagine seeing them sick with the flu. So Steve and I made sure she stayed far away from me as possible while I get back on the mend. Anywho, enough of this flu business. It's not good for anyone's health. Before I got sick, I had the best weekend! It was a weekend full of great food (we kicked it off at Vin 909 on Friday night, and ended it with cupcakes from Baked and Wired, total yum! ), fabulous shopping (Georgetown, anyone? ), and some much needed girl time with my bff. 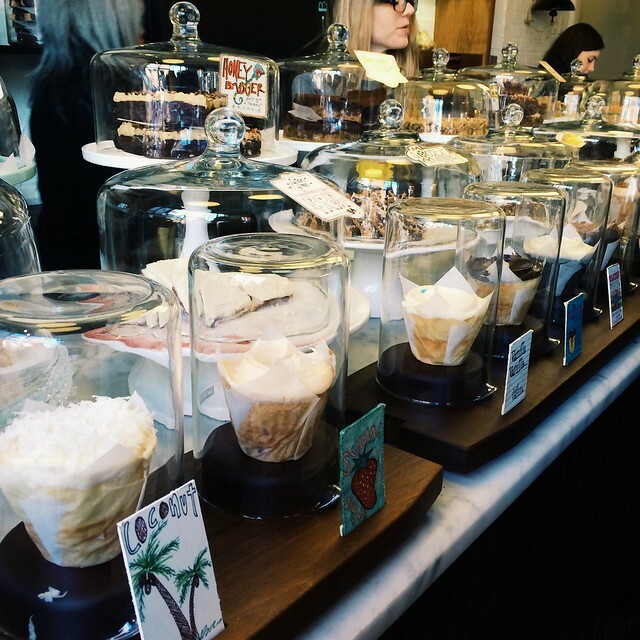 Here are a few snaps of our Georgetown girls day of shopping and eating. 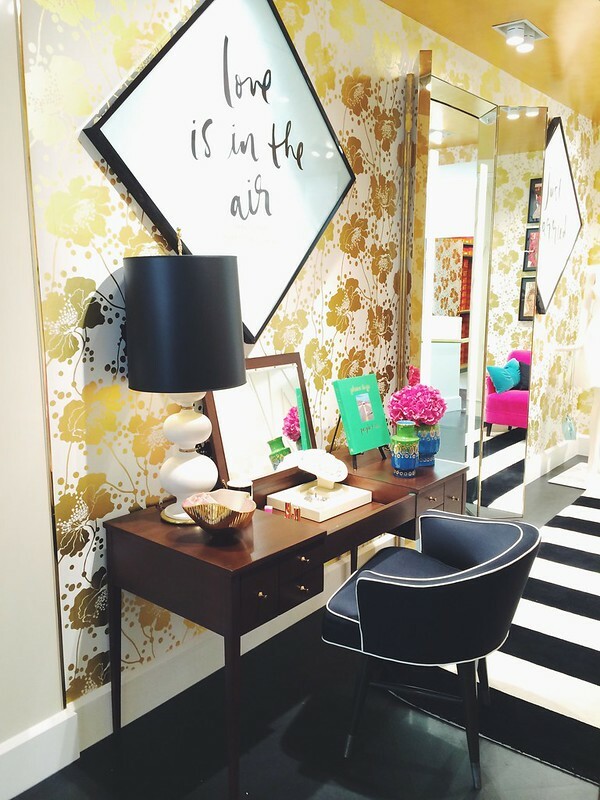 Such a tailored yet fun office space at the new Kate Spade store. Well, not really new but we hadn't been in it since they opened in August and we love the new space. It's so much more spacious and it's decor is spot on. After all of that shopping, we kind of needed to refuel with some Baked and Wired cupcakes.